Ensure you are on Social Commerce 1.5 or later. Ensure your CSS selectors are the same as the originals. Try using !important in all your styles if using the same selector is not working. This goes after the property value before the semicolon. 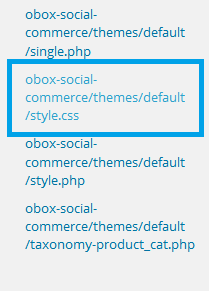 If that doesn’t work, you will need to use a different plugin like JetPack with Custom CSS enabled, or add the styles to the Social Commerce theme stylesheet and repeat this process every time you update the plugin. 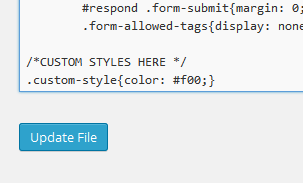 Paste your custom css at the bottom of this document below the last style, then click Update File. Your changes may take time to appear on Facebook due to their caching rules.